The knit stitch is a remarkable stitch to use when you want something unique but still basic, because it is worked just like a single crochet, only shallower. Check out the tutorial for this stitch here! 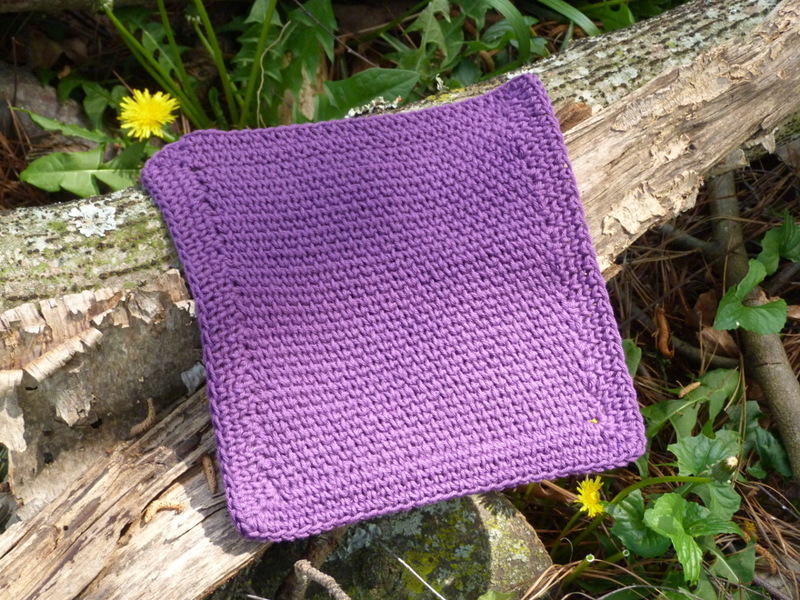 Using this stitch for a dishcloth is a perfect way to add character to an everyday piece. Crochet this dishcloth in only a few hours or less and add it to your linen supplies for a rustic, handmade touch! And don’t be surprised when your friends want a few as well. Tip: always use yarn made from natural fibers, specifically cotton and linen, for kitchen linens so that they won’t pill with constant use! See How to Crochet: Knit Stitch and Video Tutorial. Do not finish off, continue with border. Sc evenly around, working 3 sc in each corner. For another 3 rounds, knsc evenly around, working 3 knsc in each corner. Finish off. If you have any thoughts or questions, be sure and leave a comment below and I’ll get back with you! This entry was posted on Wednesday, April 25th, 2018 at 12:00 AM by Amy	and is filed under Free Crochet Patterns. You can follow any responses to this entry through the RSS 2.0 feed. You can skip to the end and leave a response. Pinging is currently not allowed.